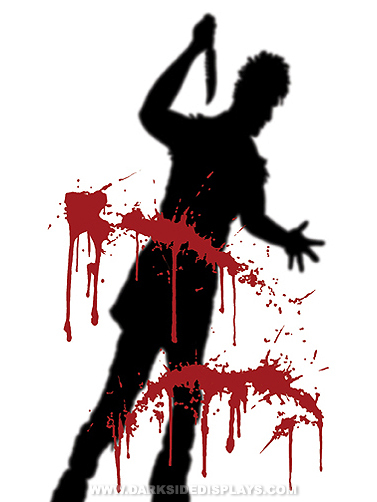 Your house is sure to get noticed when you hang this creepy window silhouette that features a killer holding a bloody knife. Black silhouette with splattered red blood image printed on a large plastic sheet. Best displayed from the inside of a window, and really stands out with a room light behind it. Hang with sticky tack, double sided tape, or a similar adhesive, not included. Will fit most windows and can easily be cut to fit. Bloody Killer Window Decoration measures 3'W x 5'H (36 in x 60 in).